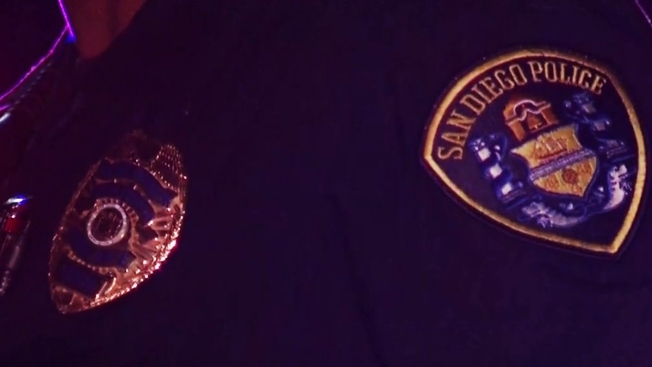 A 49-year-old San Diego Police Department (SDPD) officer was arrested in Chula Vista last Sunday on felony domestic violence charges, the Chula Vista Police Department confirmed to NBC 7 Saturday. The suspect, identified as Emmett Gregory, has been an SDPD employee since September 2001, according to records obtained by NBC 7. Gregory was arrested Sunday at his home in the Otay Ranch area of Chula Vista, a spokesperson for the Chula Vista Police Department said. SDPD released a statement saying, “We are aware of the incident involving Officer Gregory. We take the conduct of all our employees very seriously and hold our personnel to the highest of standards. We have opened an administrative investigation into the situation and will make sure it is investigated fully." "Domestic violence impacts families in every profession. The San Diego Police Department stands by victims of domestic violence. It is important, no matter who you are, you feel safe in coming forward and reporting domestic violence when it occurs."